Health Comes Home, in just 1 Hour! As a partner in your health journey, Apollo Hospitals now extends its trusted healthcare service, right at your home, in just 1 hour! Through this initiative, we aim to make services like doctor on call, physiotherapy treatment and home nursing services, easily accesible at home as compared to getting an appointment and visiting the hospital admist an active schedule. 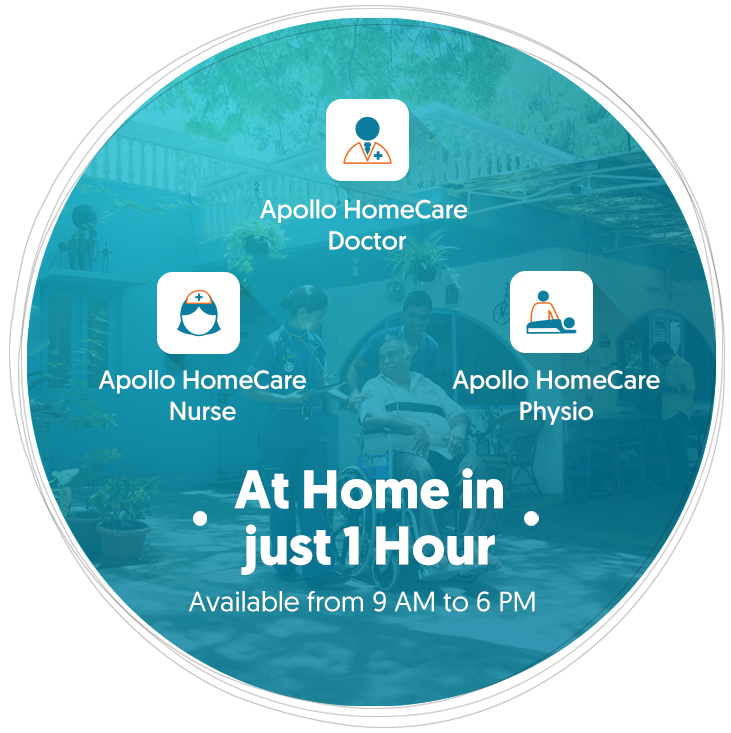 The Apollo HomeCare Circle of Care is tailored according to the needs of families with elderly people or working professionals with a busy schedule to offer them extensive healthcare services, in the comfort of their home. Dedicated nurses who will take care of all the patient's requirements like personal hygiene, nutritional needs, medication management etc. Expert physiotherapists, take care of end-to-end mobility and improve overall quality of life. Apollo HomeCare's expert healthcare delivered home in just 60 mins ensures you and your family always stay in the best of health.